Joy. The word jumps to mind when talking with Kahran Bethencourt, half of the powerhouse couple behind Atlanta-based CreativeSoul Photography. Mere seconds into the conversation, and it’s obvious Kahran is doing what she’s meant to do. She and her husband, Regis, have traveled the world photographing children and families, using their images to celebrate tone and texture, pulling what is often marginalized into full focus. Their aim is to capture the individuality, diversity, and nuances that make up the human palette. 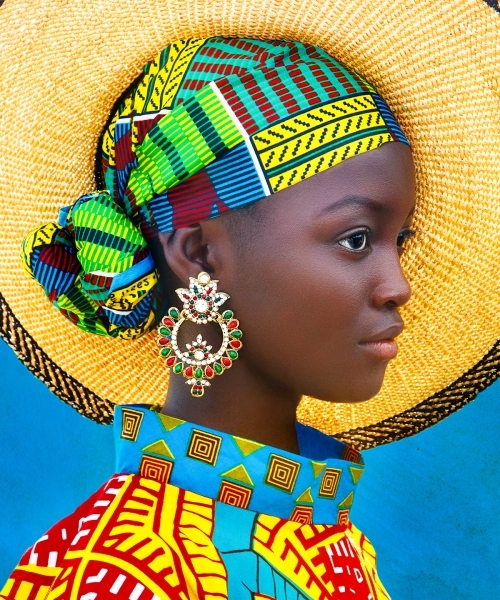 Most recently, Kahran and Regis garnered media attention with their AfroArt portrait series, a collection of styled fashion portraits showcasing natural African-American hair. No straightening and smoothing for these sessions—voluminous kinks, curls, and texture inspired each portrait. Before they fully realized what was happening, the Bethencourts’ unique voice had been added to a growing national discussion on inclusion. The series blew up on social media, grabbing attention in magazines and on TV. But that wasn’t the aim. The project came about when Kahran and Regis noticed a disconcerting trend. Working to build their editorial and commercial portfolios, they put out calls for child models and actors. Parents sent in pictures of their children with natural hair only to have them show up for sessions with it straightened and smoothed. Children of color don’t see themselves represented accurately in advertising across media platforms, the Bethencourts noted. So their personal project would address that. 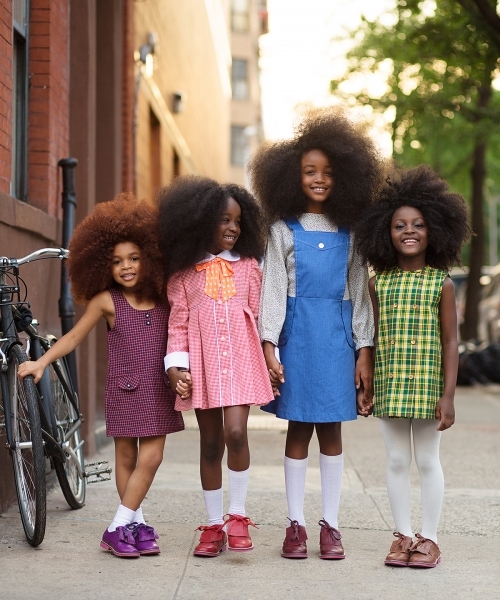 They selected three 5-year-old girls, traveled with them to New York City, styled them in fancy dresses, kept their hair big and natural, and had a ball making photographs in Times Square. Afterward, sitting on the tarmac waiting for their flight home, the Bethencourts posted some of the images on Instagram. While their flight was en route, the photos spread like wildfire. 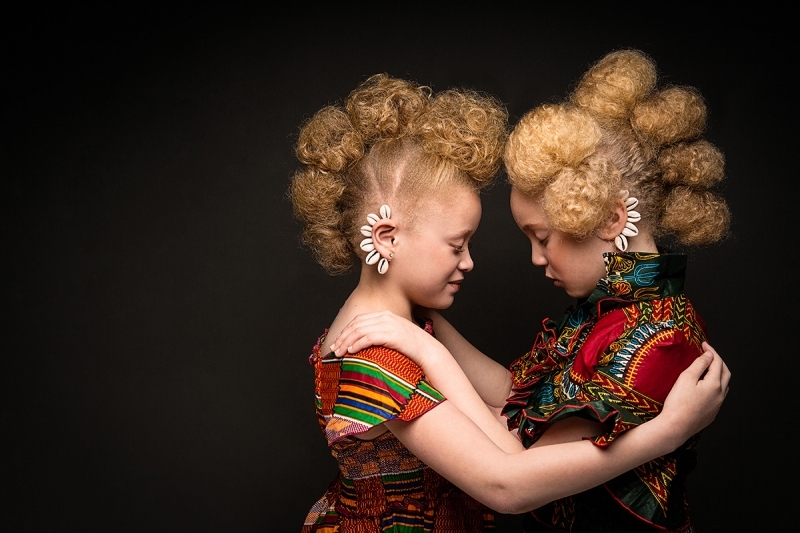 The Bethencourts began offering similarly stylized sessions to their regular clientele, slowly building a portfolio of portraits that embraced natural hair. 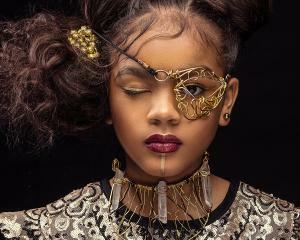 Kahran crafted many of the hair and clothing accessories herself, working styling miracles with minimal resources to create high-end looks. Themes like steampunk and baroque drove the inspiration, but individual styling was born in the moment on set with each subject. The sessions became increasingly popular locally, as well as in the cities where they traveled for commercial projects. Using social media to announce an upcoming destination, they booked portrait sessions and created a following around the country. Then the couple got a wild idea: take this show on the road globally. They plotted a course that would have them traverse seven countries in 35 days. The Bethencourts wanted the trip to be self-funded and without specific client obligations so they could afford to make a few mistakes and learn as they went. 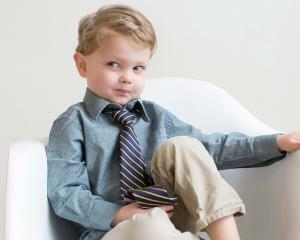 Through social media, they reached out to kids’ clothing brands and made contacts in many countries beforehand. They wanted to travel light and knew they couldn’t drag trunks of clothing from place to place, so it was crucial to make relationships and find willing kids and parents at every stop. In some locations, pure luck was required. They arrived in Ghana with a concept and clothing style in mind but didn’t have models who fit the pieces they wanted to use. While location scouting, they came across a school and met a 12-year-old girl who was perfectly suited for the part. Fortunately the Bethencourts had already hired a public relations manager to help them grow their editorial and commercial work, which proved a life-saver when AfroArt picked up steam. The increased attention helped Kahran and Regis push into new realms editorially and commercially. 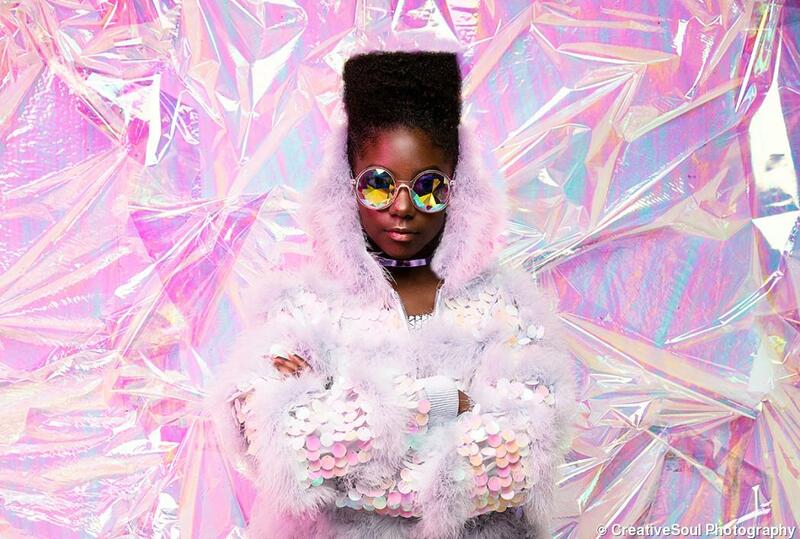 But the bigger picture was just as important to Kahran: Opening a dialogue about stigmas associated with natural hair and societal norms about its styling. AfroArt also drew interest from educators around the world, some of whom wanted to display the work to initiate classroom discussions about self-confidence and cultural awareness. A teacher in the United Kingdom uses the images to spark students to create stories and characters while examining cultural identities. Continuing forward, the Bethencourts are working on an AfroArt book and have more world tour dates on the calendar. This year, they plan to focus on South America, continuing the series by delving into the struggles and culture of Afro-Latinos.